The King and the Cavaliers prevailed in Game 7 and they are back in the NBA Finals. 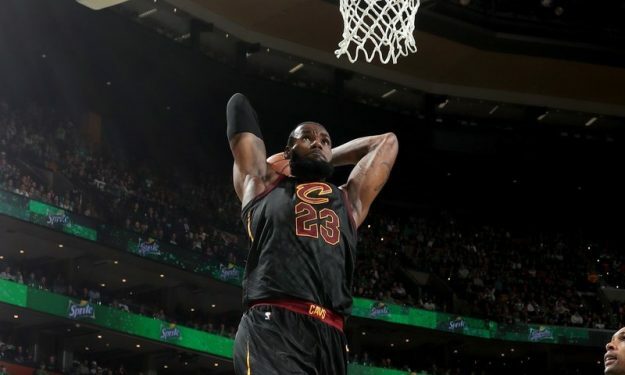 It was an ugly game for both sides, but when it was all said and done, LeBron James and the Cleveland Cavaliers prevailed with the final score being 87-79. Once more LeBron was the leader of the winning team, doing everything for the Cavs with 35 points, 15 rebounds, and nine assists. Jeff Green with 19 points was the key for the win and covered the absence of injured Kevin Love. The euro-trio of Cedi Osman, Ante Zizic, and Jose Calderon wasn’t used by coach Tyronn Lue. The Cavs made just nine out of 35 threes, but Boston was even worst with seven made shots in 39 attempts beyond the arc. The Celtics got 24 points from Jayson Tatum and 17 from Al Horford but shot just 33,3% from the field and couldn’t capitalize on the mediocre game of the Cavs despite a 26-18 lead after the first quarter. Boston scored just 13 points in the third quarter and Cleveland closed the game the right way, having constantly the lead during the last 10 minutes. French rookie Guerschon Yabusele also wasn’t used by the Celtics.